Bos Wine was founded by proprietor David Bos with his first vintage from 2010. David earned a double major at Hope College in Michigan in English and Religion and as he says, “with those degrees I could become a bartender, minister or professor”. He became a bartender which ultimately led to a job at a good restaurant in Chicago. While here, he was introduced to a number of wines including from biodynamic producers. Wanting to learn more about the vineyard side of winemaking he moved to Traverse City in northern Michigan to learn how to manage vineyards. Soon he realized he needed to be in an area “where there were more vineyards”. He drove across country to Napa without having a job lined up – and he packed light; bringing merely some clothes, four cases of wine and some books. Those who have left other parts of the country or world and other careers and who are passionate about learning about wine always end up with a job in Napa. David took a job at Grgich Hills eventually becoming their vineyard manager. His timing there was good; they were in the process of converting their vineyards to biodynamic farming. And with some 350+ acres to manage he learned the art of this type of farming on a larger scale. 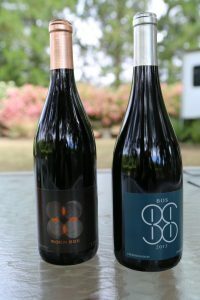 While Bos does not own vineyards – they work with a number of reputable vineyards up and down the valley. And David has a direct responsibility for helping to manage these vineyards – and in a number of cases has converted these vineyards to biodynamic farming. It is the journey of practicing what he has learned over the years about biodyanmic farming when converting a non biodynamic farmed vineyard to one is which gives him the greatest enjoyment. He has built this knowledge into a successful consulting business with clients in both Napa, Sonoma and Mendocino counties. His business, Harvest Bos focuses on vineyard consulting and composting practices. David uses biodynamic farming for several primary reasons; to improve and maintain the health, quality and vitality of a vineyard. He was attracted to Biodynamic farming for a variety of practical reasons. He identifies four primary components to biodynamic farming including: biodiveristy, observation, composting and the preperations. Biodiversity – a diverse environment is a healthy environment – this involves knowing how plants relate to each other and knowing which plants grow better together. Observation – simply walking the vines to physically observe and to get an overall feel for their health is extremely important in biodynamic farming. Observing what occurs in the vineyard based on the cycles of the moon is also part of this process. 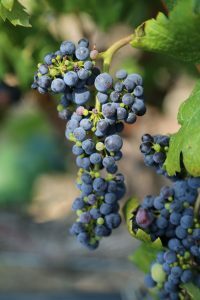 While at Grgich he observed physical differences between vines that were biodynamically farmed and those that were not. 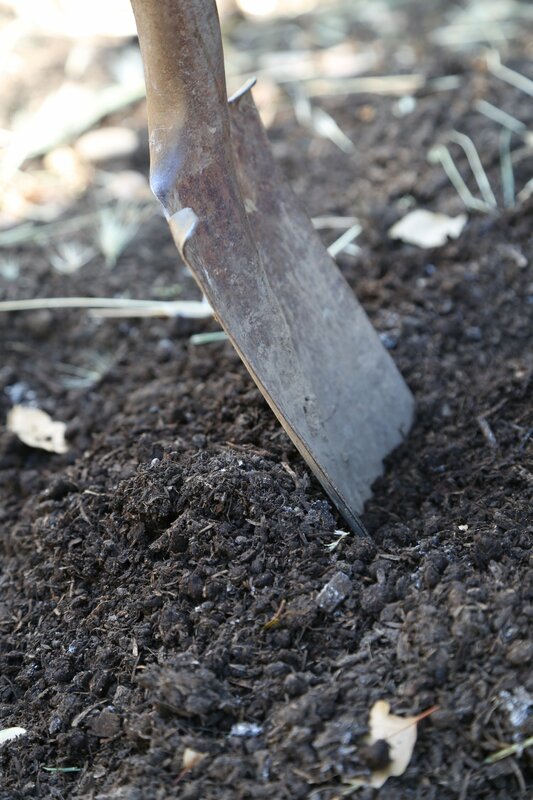 Composting – is an easy to understand process and what David considers a key component to biodynamic farming. A small compost pile sits next to his garden. Picking up a handful, it smells like the dark recesses of the ground in a redwood forest. What the vineyard produces, one must put back in to replenish the soils; this tiny pile is full of billions of micro organisms. Fortunately David does not have far to go for compost sources; the dairy farms in neighboring Sonoma County are an excellent source. 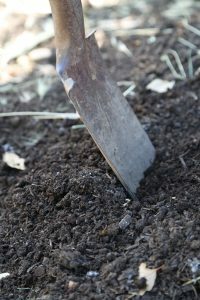 Preparations – David talks about soil’s “summer” and it’s strongest vitality ocurring during the colder winter months into Spring. David prepares the teas for the soils in December and usually applies them right after the first big rains of the winter. All his wines have special quotes attached to the back labels. The 2014 Ode to Fumé is an homage to both the varietal Sauvignon blanc as well as those who championed it in Napa including Robert Mondavi and his assistant winemaker at the time, Mike Grgich. The nose is compelling with layers of aroma including floral notes (honeysuckle), and initially a yeast nuance along with melon and pear. The palate is well balanced, clean and crisp lingering with notes of lemon zest. Very refreshing. The 2014 Soda Creek Vineyards Sauvignon Blanc is straw color in the glass; it shows pretty fruit tending towards tropical including aromas of yellow pineapple, hazelnut and a mineral component. It is rounded on the palate with a satin-like mouth feel. Despite the slight creaminess on the palate, the overall weight of the wine feels delicate on the palate. There is a nice intensity of flavor on the palate, decent acidity and notes of riper citrus complemented with just a hint of caramel on the finish. The name Moon Bos Red resulted from an accidental naming when the grapes arrived into the winery for processing. 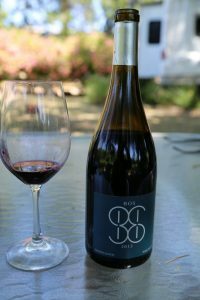 “MO” was listed on their arriving MOurvedre grapes and ‘ON’ was listed as an abbreviation for his winemaker’s own label, Onesta. The 2014 is 2/3 Syrah with the remainder of the blend Mouvedre, Zinfandel and Petite Sirah. This wine shows a sweetness of fruit in the bouquet with both blue and red fruit. On the palate the wine is smooth and drinks easily, it is balanced. Flavors of red currant and red cherry linger with a hint of tannin. The 2013 Phoenix Ranch Syrah is 100% varietal. This vineyard is located in the Atlas Peak sub appellation and is the vineyard that provided the fruit for David’s first vintage in 2010. David speaks of the “it” vineyards he has tried over the years and he considers Phoenix Ranch to be among this select class of vineyards. This vintage is dark in the glass showing a pretty bouquet of lavender, blueberry, dried rose petals, dark plum and a savory component. Well integrated tannins. The wine club is called Wine & Swine – David founded this because as he says, “is a club I want to be a member of”. Not only do members gain access to his limited production wines but wine club events incorporate some of the fresh produce he grows as well as salumi, prosciutto & other tasty treats made from pigs he raises.